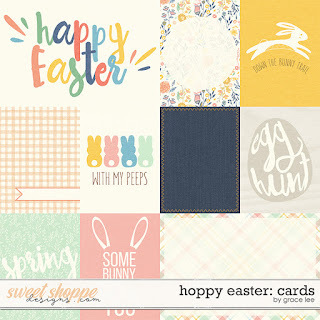 As we enter the Easter season, this week's release is the perfect way to remember all the celebrations. 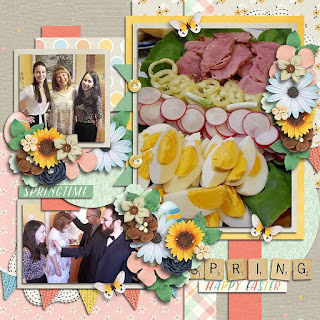 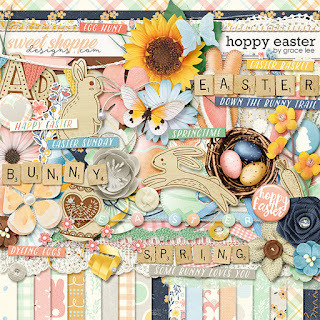 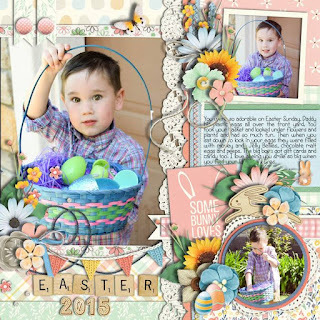 Hoppy Easter is skipping down the bunny trail to help you create gorgeous Easter and spring layouts for your family. 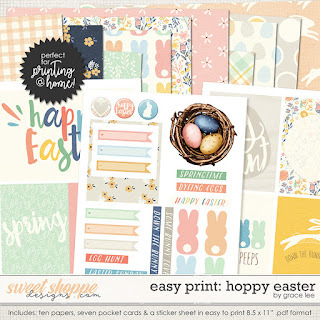 Capture egg hunts, dyeing eggs, baskets overflowing with goodies, church services, and warm spring days with the subtle pastels and versatile elements in this fabulous collection. 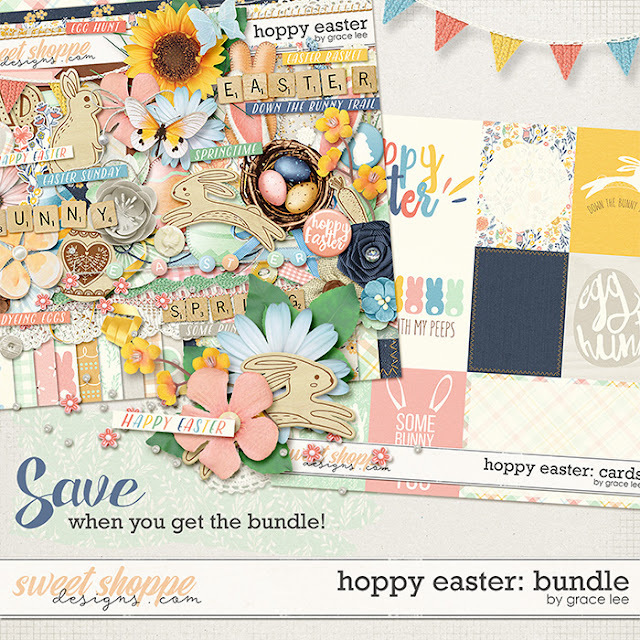 Hoppy Easter: Bundle includes the kit and journal cards.